Want to have a blast? Let's go surfing today! 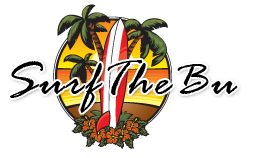 Joel Shultz, of Surfthebu.com will fulfill all your surfing dreams with top quality, hassle-free, competitively priced surfing lessons backed by three decades of surfing instruction in the Malibu, Los Angeles, and Ventura areas. A true pioneer in the business, Joel's knowledge and experience with regard to Southern California's surf breaks are unparalleled, and he will lead you to the most secluded, beginner-friendly waves possible. Come ride his wide selection of easy-to-ride soft boards (Doyles and Wavestorms), as well as the more challenging fiberglass surfboards (by request only) of varying styles and sizes. Wetsuits, long or short (depending on ocean temperatures), are included in a 1.5 hour private one-on-one lesson, or a 2-hour group lesson (two to four people). Larger groups of four become 2.25 hours. Private birthday parties and corporate events are available, as well as gift certificates. All ages welcome. Most of our lessons take place at the north end or Zuma Beach, a 4-star jewel offering clean, clear water, a sundrenched white sandy beach, ample parking, and gentle rolling waves. 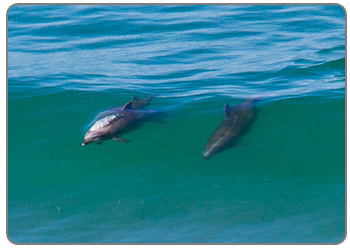 And don't be surprised if you see a pod of dolphins or a flock of pelicans surf with us, a common occurrence at Zuma! Other possible surfing locations are as follows: Port Hueneme, Solimar, and Mondos Cove in Ventura; Butterfly Beach in Montecito; or Bay Street in Santa Monica. Other Malibu locations are Surfrider, Latigo, Topanga and Sunset . In your very first lesson with Joel, you should expect to be standing up and riding not just once, but several times! You'll learn how to do a "textbook" pop-up and all the basic fundamentals and mechanics of surfing. You'll also learn such essentials as safety measures, timing, trimming, turning, accelerating, establishing and maintaining control of your board, right of way, etiquette, crowd psychology, stretches, diet and a list of crossover sports. 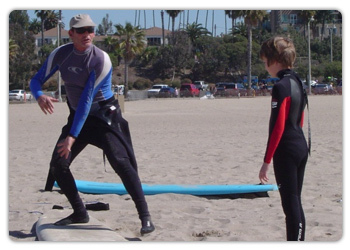 You and/or your group will have obtained enough surfing know-how to surf independently, and when your lesson ends you'll have just that option! Take a complementary additional 15 minutes use of the surfing equipment to practice your newly acquired skills!